As Australian cities brace for a population boom, it’s a good time to start thinking about what we can do now to future-proof our infrastructure. A project out of Europe has some useful lessons. The global population is growing rapidly. By 2030 it’s expected to reach 8.6 billion, and will hit almost 9.8 billion by 2050. Coupled with large migratory movements between countries, this means that many nations will need to grapple with how to scale their physical infrastructure in order to support their citizens’ movements. 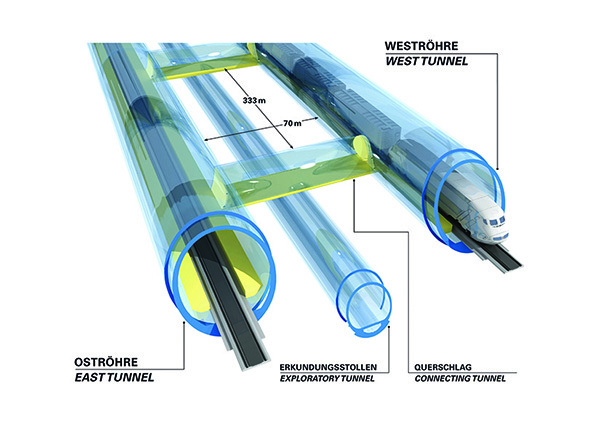 A recent example of this type of project is the effort to relieve traffic in the most important corridor in Europe: the Brenner Base Tunnel (BBT). Currently in progress, the BBT project – a conduit between Innsbruck in Austria and Franzensfest in Italy by Brixen – is planned for completion by 2026. 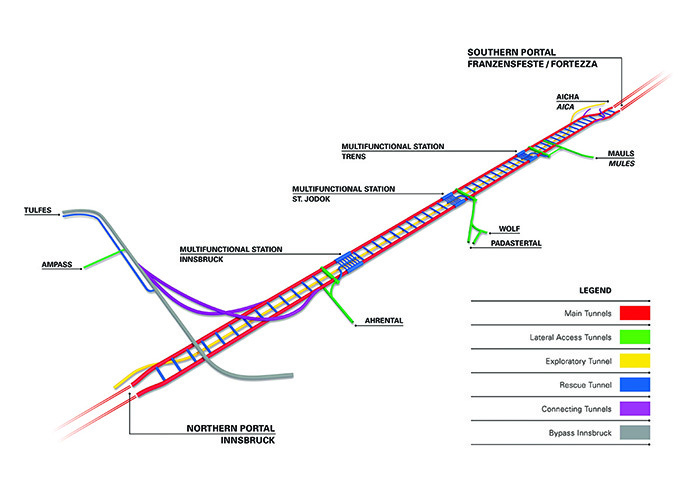 The project’s main goal is to ease congestion based on projected population growth. 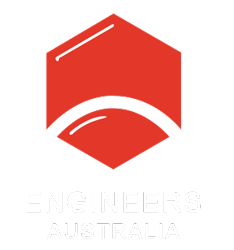 This sort of forward-thinking design holds many lessons for Australian engineering projects as we struggle to keep pace with our booming population. What can we learn from the Brenner Base Tunnel? Designed as a joint project between Italy and Austria, and with a budget of more than €10 billion (AUD$15.3 billion), the BBT will be the world’s second-longest rail tunnel when completed. At a total length of 55 km, the tunnel cuts the travel time between Franzensfeste and Innsbruck from 80 minutes to a mere 25 minutes. Australia is a vast country, with a reliance on a robust rail network for key functions like transport of food or resources. With the planned delivery of the Inland Rail project (currently in progress), the lessons of the BBT provide great insight into what it takes to deliver an effective project. Detailed planning is crucial for such a huge project in order to be feasible, and a central element involved is a Time Location Diagram (TLD) for construction project management. In the case of the BBT, this was initially created for project submission in 2006 using CAD. However, the information could not be linked across programs, and changes in the plan required a complete overhaul of the CAD planning by the time the project started. Luckily, developments in technology over the past decade have led to more intuitive software, enabling more effective time management and improving overall jobsite productivity. These newer technologies offer more comprehensive functionality for linear construction sites, like the BBT. On today’s construction site, having access to the most efficient technologies – wherever and whenever you need them – is crucial. Not only do connected construction sites help to develop detailed construction schedules that can then be used to evaluate the differing operating speeds that might be required onsite, but they can help plan other elements like mountain grades and appropriate landfills for the amount of spoils. Taking into account such factors as site maps and local conditions (e.g. disturbed zones, homogenous areas and existing bridges) can also be directly included in the construction schedule. Any changes can be made directly to the schedule and available across all locations relevant to the site, including offices and on the site itself. Having such a connected site through intelligent software allows planners, engineers and contractors to receive up-to-date and precise information on planning, progress and expenses at every step of the project. With such a complex site as the BBT, and similarly with the Inland Railway, taking into account logistical conditions such as work safety standards is incredibly important. Throughout the planning stages of any project, it is imperative to have an efficient and reliable planning software. Using connected software allows project teams to clearly and easily outline processes and conditions throughout the planning stage, and continue to monitor these throughout the development of the project. Variations can cause repercussions to develop, including messing with scheduling and adding expenses to other parts of the project, and thus allowances must be made. By using acquired data integrated into such software with current, precise information, construction during planning can be adjusted accordingly. As we look to develop our own mammoth Inland Rail project, considering the lessons learned in other countries, and on similar projects, is important to our development as construction professionals. By understanding what best practices looks like while onsite and during the planning stages, we can learn how to best improve our projects at all stages. By incorporating the most up-to-date, connected and efficient software into construction projects, we can contribute to greater productivity and efficiency in projects across the board.